Sometimes wifi in not available you can make your laptop a wifi hotspot. The wifi in your laptop turns it into a hotspot. Just make sure wifi is turned on in your laptop. 1.Open notepad copy these commands and paste in notepad. 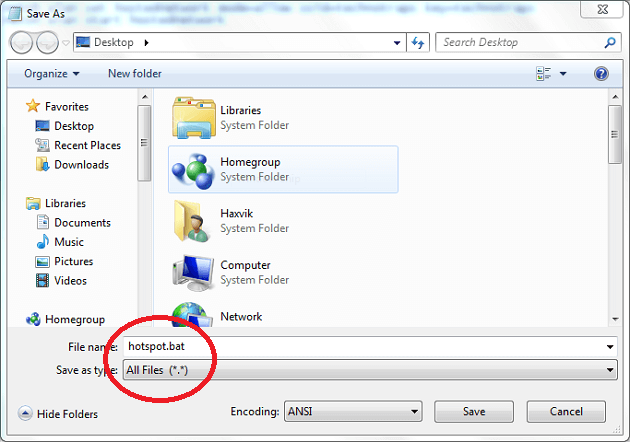 2.Save the notepad file in .bat format, i.e hotspot.bat. 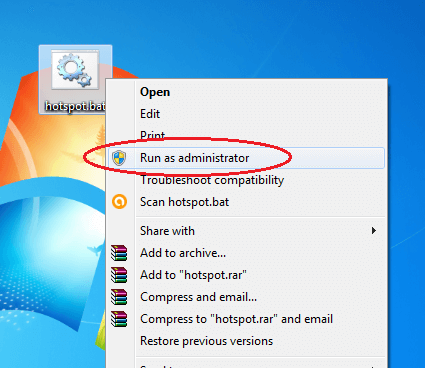 3.Right click on “hotspot.bat” and click Run as administrator. 4.Wait for a while to complete the process. 5. Open Network and Sharing Center. 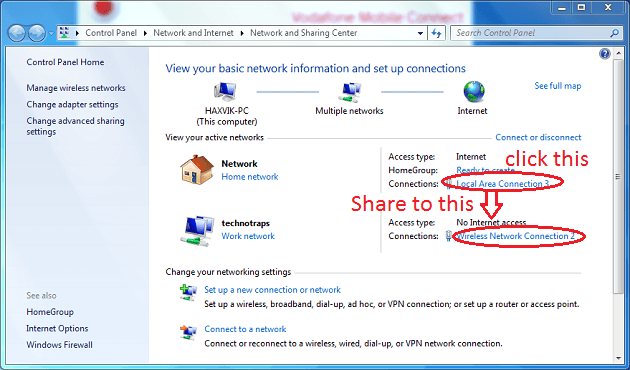 6.Click on Internet connection you want to share with newly created hotspot. 9.Connect with it using password “technotraps“.